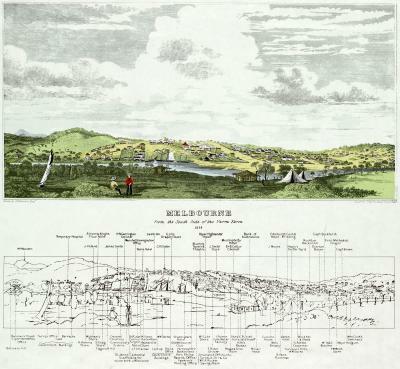 View of early Melbourne across the Yarra circa 1839. The key below the painting allows identification of landmarks. John Adamson, J. Carmichael, engraver, circa 1839. Print: fascimile on paper, reprinted in 1971. 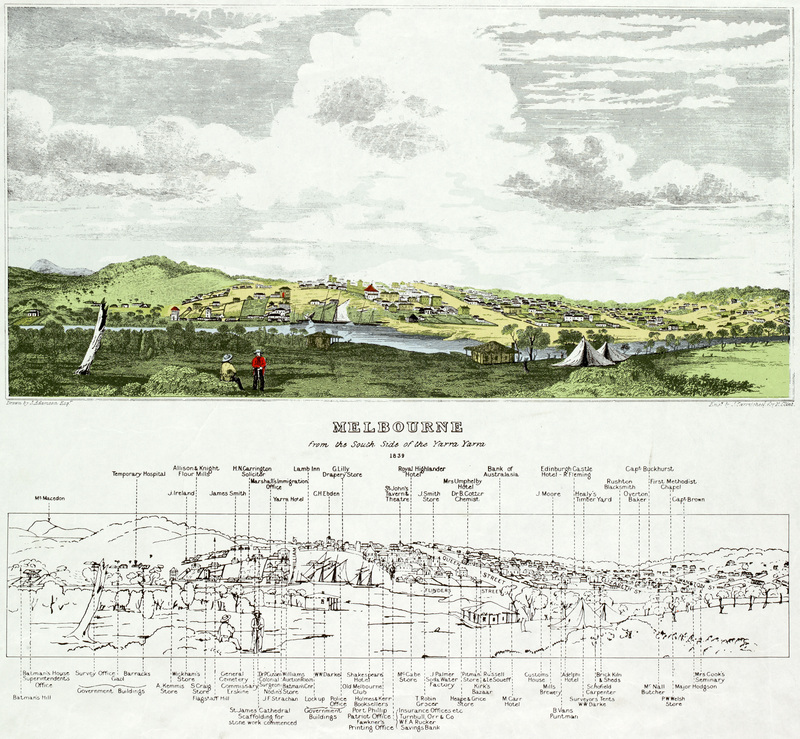 From the State Libary of Victoria's Pictures Collection.